Deaf defining music, clouds of marijuana smoke in the air, and a hyped up artist, put those all together and what do you have? A LilUziVert concert. 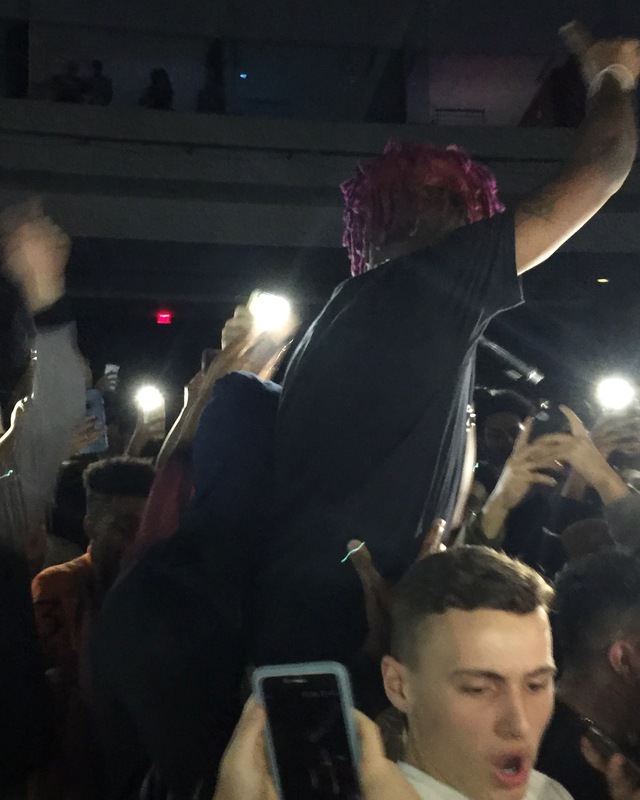 On Wednesday, Dec. 28, 2016, Symere Woods, commonly known as LilUziVert gave a guest appearance in Phoenix, Arizona. Symere Woods, born July 31, 1994 in Philadelphia, Pennsylvania has been active in the Hip-Hop industry since 2013. Uzi Vert’s talent was discovered by Don Cannon, who’s occupation is a record producer and songwriter, after being played on the radio by DJ Diamond Kuts. Uzi was subsequently offered a record deal in which he signed with Don Cannon, DJ Drama, and Leighton Morrison’s label Generation Now and Atlantic Records. Uzi Vert recieved public recognition after featuring on Carnage’s single “WDYW,” who is an American DJ and record producer, along with two other hip hop artists, ASAP Ferg and Rich The Kid in 2015. Spin agrees by stating, “the 22-year-old has solidified his spot as one to watch…(with) his signature rapid delivery.” And lastly, the TV series “Noisey.” The series launched March 2, 2016 on Viceland. The show educates and enlightens people about music culture around the world, whilst understanding problems that may arise within youth and crimes that associates themselves/itself with music. LilUziVert, on June 13, 2016, was named one of the ten 2016 XXL Freshman. In an interview with Complex, LilUziVert stated his influences are ASAP Rocky, Marilyn Manson, Pharrell Williams, Kanye West, Young Thug, Wiz Khalifa, Lil Wayne, and the Ying Yang Twins. Previous PostNFL Security guard gets caught yanking his chain during San Diego Chargers game. Next PostThe Mixed Benefits of a Low-Threshold.